The Bachelor of Science in Cyber Security program prepares students to obtain knowledge for careers in cybersecurity and assurance. 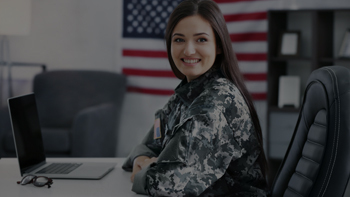 The cyber security program consists of topical areas dealing with cybersecurity management, incident response, and security threat assessment, which requires students to be creators of knowledge and inventors of processes, not merely users of information. Additionally, students will receive instruction in leadership and management in preparation for becoming managers and directors. Developed from a learning model based on Bloom’s Taxonomy of Thinking, the information security bachelor degree’s educational objectives identify what students should learn, understand, and be able to do as a result of their studies with ECCU. ECCU’s Bachelor of Science in Cyber Security coursework is delivered 100% online and asynchronously providing flexibility of time management whereby students can attend to coursework at any time of day/night or weekends (24×7). There is a structure to the week and term whereby attendance and submissions must meet predefined deadlines each week and weekly attendance and participation are mandatory. Synchronous scheduled class times are not utilized but adherence to discussion and homework weekly posting deadlines are. 3 Industry Certifications Included in the Program! 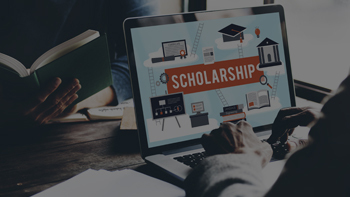 ECCU’s BSCS has the unique ability to allow students to join our program and walk away with a Bachelor of Science in Cyber Security and three EC-Council industry-recognized certifications. All degree requirements must be completed within one and a half times the program length or have a cumulative course completion rate of 67% of coursework from the date the student enrolls in the University and begins the program. With EC-Council University’s Grad Track option, a student can earn credits towards their Master of Science in Cyber Security program while completing their Bachelor of Science in Cyber Security degree. BSCS students can take a maximum of nine (9) credit hours of MSCS courses. These courses will be ECCU 500, ECCU 501, and ECCU 502 which will transfer to CIS 403, CIS 404, and CIS 406, respectively, into the BSCS program. 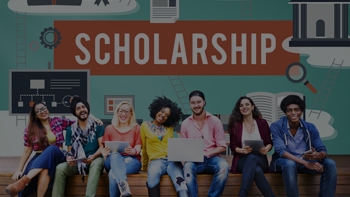 These credits will count toward the BSCS program and can be applied to the MSCS degree if accepted into the program. Complete a Grade Track Form. BSCS/MSCS Career Advancement – reducing your MSCS program requirements from 36 credit hours to 27 credit hours = Completing your MSCS degree faster. 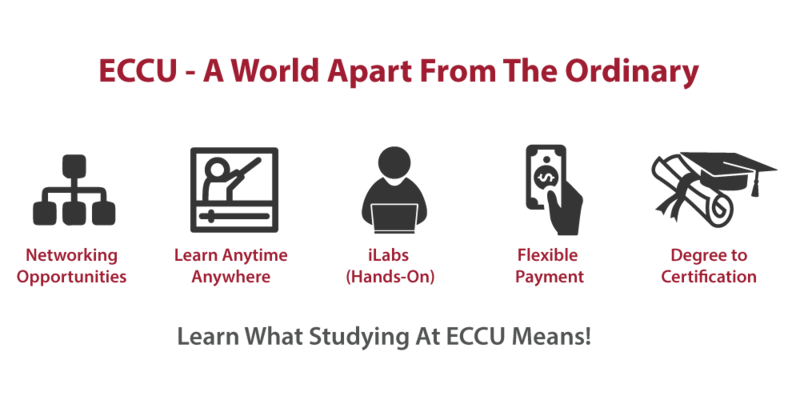 Cost Saving – you get to pay the undergraduate rate for these three (ECCU 500, ECCU 501, and ECCU 502) Master’s level courses (which will transfer to CIS 403, CIS 404, and CIS 406, respectively into the BSCS program). 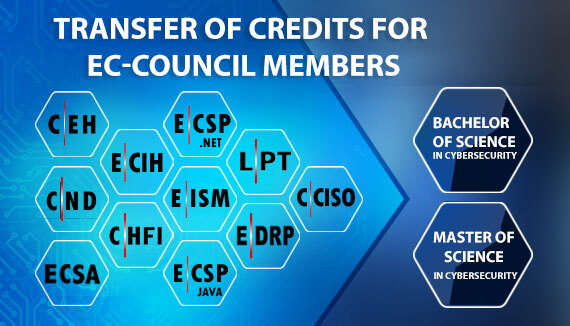 As a prospective EC-Council University student and current industry-recognized certification holder, you can also earn credits towards your cybersecurity courses, as a result of your prior learning/industry certifications. Earning a degree in cybersecurity will teach you various methods used to protect data and information systems through skills like network security, ethical hacking, and cyber forensics that will help you achieve various job roles in the cybersecurity industry. Fundamentals of Information Systems Security provides a comprehensive overview of the essential concepts readers must know as they pursue careers in information systems security. It opens with a discussion of the new risks, threats, and vulnerabilities associated with the transformation to a digital world, including a look at how business, government, and individuals operate today. Part Two is adapted for the official (ISC)2 SSCP Certified Body of Knowledge and presents a high-level overview of each of the seven domains within the System Security Certified Practitioner certification. The text closes with a resource for readers who desire additional material on cyber security standards, education, professional certifications, and compliance laws. Includes changes in laws, security certificates, standards, amendments, and proposed Federal Information Security Amendments Act of 2013 Act. Legal Issues in Cyber Security addresses the area where law and cyber security concerns intersect. Information systems security and legal compliance are now required to protect critical governmental and corporate infrastructure, intellectual property created by individuals and organizations alike, and information that individuals believe should be protected from unreasonable intrusion. Organizations must build numerous cyber security and privacy responses into their daily operations to protect the business itself, fully meet legal requirements, and to meet the expectations of employees and customers. Managing Risk in Information Systems provides a comprehensive overview of the SSCP® Risk, Response, and Recovery Domain in addition to providing a thorough overview of risk management and its implications on IT infrastructures and compliance. Written by industry experts, and using a wealth of examples and exercises, this book incorporates hands-on activities to walk the reader through the fundamentals of risk management, strategies and approaches for mitigating risk, and the anatomy of how to create a plan that reduces risk. Discusses the latest governance, regulatory mandates, business drives, and legal considerations. Security Policies and Implementation Issues offers a comprehensive, end-to-end view of information security policies and frameworks from the raw organizational mechanics of building to the psychology of implementation. Written by an industry expert, it presents an effective balance between technical knowledge and soft skills, and introduces many different concepts of information security in clear simple terms such as governance, regulator mandates, business drivers, legal considerations, and much more. With step-by-step examples and real-world exercises, this book is a must-have resource for students, security officers, auditors, and risk leaders looking to fully understand the process of implementing successful sets of security policies and frameworks. Offers a comprehensive, end-to-end view of information security policies and framework. Addresses the technical knowledge and software skills required for policy implementation. Covers governance, regulator mandates, business drivers, and legal considerations. Auditing IT Infrastructures for Compliance provides a unique, in-depth look at recent U.S. based Information systems and IT infrastructures compliance laws in both the public and private sector. Written by industry experts, this book provides a comprehensive explanation of how to audit IT infrastructures for compliance based on the most recent laws and the need to protect and secure business and consumer privacy data. Using examples and exercises, this Second Edition incorporates numerous hands-on activities to prepare readers to skillfully complete IT compliance auditing. Access control protects resources against unauthorized viewing, tampering, or destruction. They serve as a primary means of ensuring privacy, confidentiality, and prevention of unauthorized disclosure. Revised and updated with the latest data from this fast paced field, Access Control, Authentication, and Public Key Infrastructure defines the components of access control, provides a business framework for implementation, and discusses legal requirements that impact access control programs. It looks at the risks, threats, and vulnerabilities prevalent in information systems and IT infrastructures and how to handle them. It provides a student and professional resource that details how to put access control systems to work as well as testing and managing them. Updated references to Windows 8 and Outlook 2011. A new discussion of recent Chinese hacking incidents. Examples depicting the risks associated with a missing unencrypted laptop containing private data. New sections on the Communications Assistance for Law Enforcement Act (CALEA) and granting Windows folder permissions are added. New information on the Identity Theft Enforcement and Restitution Act and the Digital Millennium Copyright Act (DMCA). Security Strategies in Windows Platforms and Applications focuses on new risks, threats, and vulnerabilities associated with the Microsoft Windows operating system. The majority of individuals, students, educators, businesses, organizations, and governments use Microsoft Windows, which has experienced frequent attacks against its well-publicized vulnerabilities. Particular emphasis is placed on Windows XP, Vista, and 7 on the desktop, and Windows Server 2003 and 2008 versions. It highlights how to use tools and techniques to decrease risks arising from vulnerabilities in Microsoft Windows operating systems and applications. The book also includes a resource for readers desiring more information on Microsoft Windows OS hardening, application security, and incident management. With its accessible writing style, and step-by-step examples, this must-have resource will ensure readers are educated on the latest Windows security. Security Strategies in Linux Platforms and Applications covers every major aspect of security on a Linux system. Written by an industry expert, this book is divided into three natural parts to illustrate key concepts in the field. It opens with a discussion of the risks, threats, and vulnerabilities associated with Linux as an operating system using current examples and cases. Part 2 discusses how to take advantage of the layers of security available to Linux–user and group options, filesystems, and security options for important services, as well as the security modules associated with AppArmor and SELinux. The book closes with a look at the use of both open source and proprietary tools when building a layered security strategy for Linux operating system environments. Using real-world examples and exercises, this useful resource incorporates hands-on activities to walk readers through the fundamentals of security strategies related to the Linux system. Focuses on Linux as a server operating system. Covers every major aspect of security on a Linux system. Uses examples from Red Hat Enterprise Linux and Ubuntu Server Edition, two of the major distributions built for servers. Explores open source and proprietary tools when building a layered security strategy for your Linux operating system. Offers step-by-step instructions for identifying weaknesses and creating more secure systems. Network Security, Firewalls, and VPNs provide a unique, in-depth look at the major business challenges and threats that are introduced when an organization’s network is connected to the public Internet. Written by an industry expert, this book provides a comprehensive explanation of network security basics, including how hackers access online networks and the use of Firewalls and VPNs to provide security countermeasures. Using examples and exercises from the field, this book incorporates hands-on activities to prepare the reader to disarm threats and prepare for emerging technologies and future attacks. Hacker Techniques, Tools, and Incident Handling begins with an examination of the landscape, key terms, and concepts that a security professional needs to know about hackers and computer criminals who break into networks, steal information, and corrupt data. It goes on to review the technical overview of hacking: how attacks target networks and the methodology they follow. The final section studies those methods that are most effective when dealing with hacking attacks, especially in an age of increased reliance on the Web. Written by a subject matter expert with numerous real-world examples, the Second Edition provides readers with a clear, comprehensive introduction to the many threats on our Internet environment and security and what can be done to combat them. New section material on cloud computing and cloud security issues. Internet Security: How to Defend Against Attackers on the Web provides an in-depth look at how to secure mobile users as customer-facing information migrates from mainframe computers and application servers to Web-enabled applications. Written by an industry expert, the book explores the evolutionary changes that have occurred in data processing and computing, personal and business communications, and social interactions and networking on the Internet. It goes on to review all the risks, threats, and vulnerabilities associated with Web-enabled applications accessible via the Internet. Using examples and exercises, the Second Edition incorporates hands-on activities to prepare readers to successfully secure Web-enabled applications. System Forensics, Investigation, and Response begins by examining the fundamentals of system forensics, such as what forensics is, the role of computer forensics specialists, computer forensic evidence, and application of forensic analysis skills. Computer crimes call for forensics specialists, people who know how to find and follow the evidence.It also gives an overview of computer crimes, forensic methods, and laboratories. It then addresses the tools, techniques, and methods used to perform computer forensics and investigation. Finally, it explores emerging technologies as well as future directions of this interesting and cutting-edge field. Cyberwarfare puts students on the real-world battlefield of cyberspace! 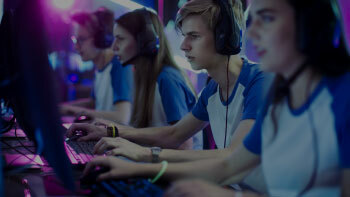 Students will learn the history of cyber warfare, techniques used in both offensive and defensive information warfare, and how cyberwarfare is shaping military doctrine. Written by subject matter experts, this book combines accessible explanations with realistic experiences and case studies that make cyberwar evident and understandable. Incorporates hands-on activities, relevant examples, and realistic exercises to prepare readers for their future careers. Includes detailed case studies drawn from actual cyber warfare operations and tactics. Provides fresh capabilities information drawn from the Snowden NSA leaks. Wireless and Mobile Device Security explores the evolution of wired networks to wireless networking and its impact on the corporate world. The world of wireless and mobile devices is evolving day-to-day, with many individuals relying solely on their wireless devices in the workplace and in the home. The growing use of mobile devices demands that organizations become more educated in securing this growing technology and determining how to best protect their assets. Using case studies and real-world events, it goes on to discuss risk assessments, threats, and vulnerabilities of wireless networks, as well as the security measures that should be put in place to mitigate breaches. The text closes with a look at the policies and procedures in place and a glimpse ahead at the future of wireless and mobile device security. Includes detailed case studies drawn from real world events. This course serves as a comprehensive assessment of knowledge and skills in information systems and cybersecurity. Activities include research into selected security problems and planning, designing and implementing security solutions for a user organization. This course is designed to prepare you in the basics of research and writing. You will begin with learning the fundamentals of writing: how to tell if a website is credible/trustworthy, tips and strategies, critiquing, preparing for a research paper, designing an outline, developing a thesis statement, a conclusion, and referencing your work. What you learn in this course will help you succeed in your courses to follow, including your final capstone project. Introductory Statistics will familiarize students with a broad base of concepts in probability and statistical methods. Students will learn how to collect, analyze and interpret numerical data and descriptive statistics, create basic probability models, and use statistical inference. This course stresses a wide variety of relevant applications and students will understand how to interpret and critically analyze research data and apply statistical reasoning and interpretation. Explain the general concepts of statistics. Present and describe graphical data. Analyze data using regression and correlation. Interpret probability distributions for random variables. Compute and interpret point and interval estimates. Think critically about information consumed in daily life and use an understanding of statistics to make good decisions based on that information (statistical literacy). Why do individuals behave in a certain manner? How do relationships, people, and society influence such behaviors? The purpose of this course is to introduce you to the field of social psychology, but more specifically understand how others influence our behaviors. This course will provide a general overview of human behavior in a social matrix. The course will explore topics and concepts such as: social psychology research, the self, prejudice and discrimination, attraction, relationships, aggression, socialization and conformity. Apply proper research techniques to produce comprehensive writings by utilizing course texts, readings, discussions, and presentations. Discuss and critique topics in weekly group collaboration and activities to develop diverse and critical perspectives. Identify and describe the terminology relevant to social psychology. Recognize social behavior concepts along with their motivation and influences. Apply these concepts to real-life phenomena. Examine the methodology used by social psychologists. Analyze and interpret statistical data presented in social psychology research. What is the right thing to do? What is the ETHICAL thing to do? This course will introduce the principles of ethics (moral philosophy) through a variety of topics and dilemmas. We will examine the ideas of goodness, badness, wrongness, and rightness. We will learn about ethical theories of philosophers and apply the knowledge to current events to better understand morality, obligation, human rights, and human nature. Recognize ethical and moral behavior and its motivation. Examine ethical theories and methodologies used to determine goodness and rightness. Analyze and interpret statistical data and the review of literature. Economics is the study of how a society manages its resources. In most societies resources are allocated through combined choices of their individual members. Economists study how people make the decisions, how they work, what they buy, how much they save, and how they invest those savings. Economists also study how people interact with one another. Finally, economists analyze forces and trends that affect the economy as a whole, including the growth of income, the fraction of the population that can not work, and the rate at which prices are rising or falling. This course covers these concepts and more. Gaining a strong understanding of IT project management as you learn to apply today’s most effective project management tools and techniques are skill sets covered in this class. The course emphasizes the latest developments and skills to help you prepare for the Project Management Professional (PMP) or Certified Associate in Project Management (CAPM) exams. While the PMBOK® Guide is discuss, the course it goes well beyond the Guide to provide a meaningful context for project management.